We buy any model of Suzuki in any condition. Regardless of whether your Suzuki has low or high mileage; we will buy your car. If you are looking to sell your Suzuki, there is no safer way to do it, than by using our expertise. Our Suzuki experts can help you through our sales process and we can offer fair Suzuki market value prices. For more information and a valuation on your Suzuki, enter your car’s details online. We will buy your Suzuki and you will receive payment immediately. Our friendly team of staff provide first-class customer service, and can save you from selling your car the hard way. Many people attempt to sell their car using classified advertisements, only to waste their time and money. This can turn into a hassle. We will buy your Suzuki with no hassle, and provide you with immediate payment for your car. The Suzuki Motor Company was created in 1954 and the lightweight Suzuki Suzulight was marketed. This car started the production of a decade of lightweight cars that has since been finely tuned. 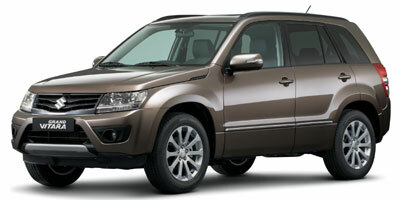 Some popular Suzuki cars include the Suzuki Grand Vitara. This vehicle is designed to drive well off-road and has many extra amenities making the car comfortable and affordable. Suzuki has also created motorcycles and many other recreational off-road vehicles. The Kizashi is a popular Suzuki sedan that offers a sleek design with an affordable price tag.